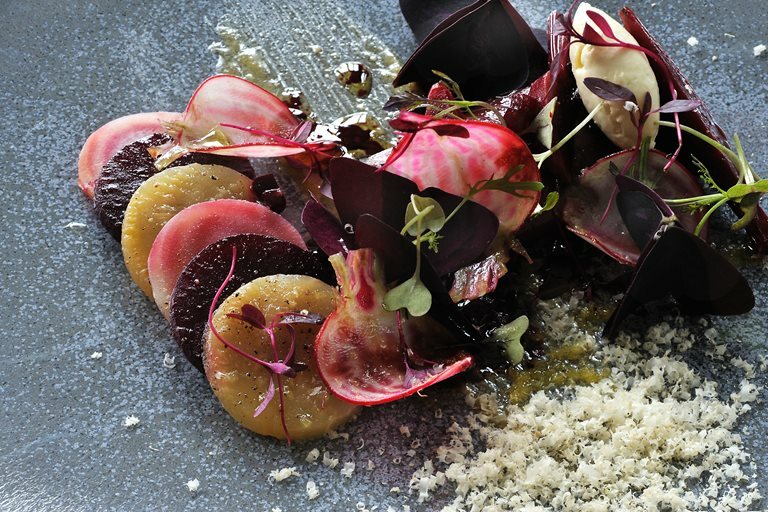 This mackerel and beetroot recipe from Tom Aikens takes time, but is well worth the wait. The mackerel in this dish is marinated not cooked in the lemony beetroot dressing to create a powerfully flavoured starter. It is finished with a horseradish cream and toasted hazelnuts for added texture and depth.